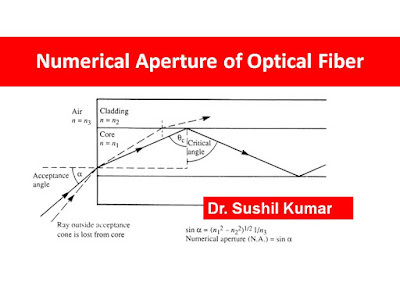 Numerical Aperture: A relationship between the acceptance angle and the refractive indices of the three media involved, namely the core, cladding and air (or water). and we use the triangle ABC property, simply it and find the result keeping in mind the limiting case for total internal reflection, where phi angle becomes equal to the critical angle for the core cladding interface. Also in this limiting case theta 1 becomes the acceptance angle for the core theta a, now we combine these two concepts and find the result for Numerical Aperture. 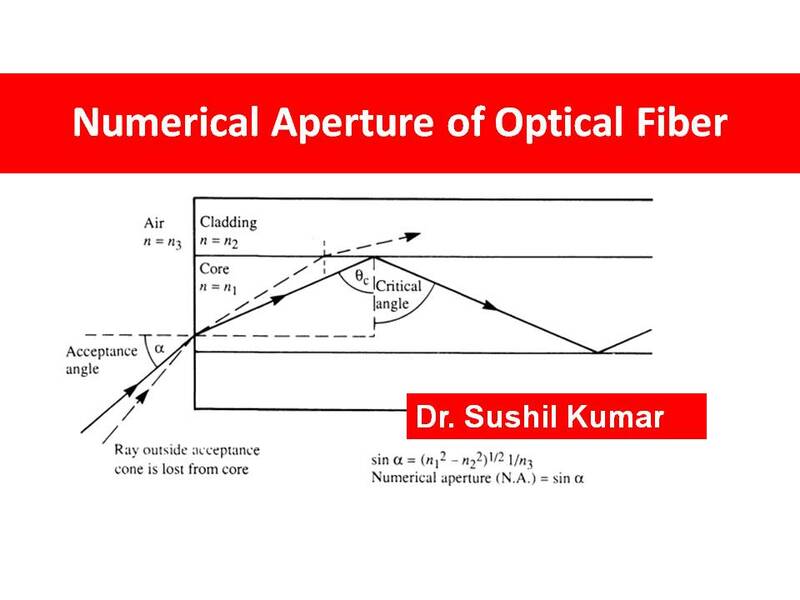 Since the Numerical Aperture of Optical Fiber is often used with the fiber in air where n0 is the unity, it is simply equal to sin theta a. It may also be noted that incident meridional rays over the range 0 less than or equal to theta 1 less than or equal to theta a will be propagated within the fiber.